My stomach is in knots....my math anxiety has kicked in! I'm not a math nerd, but as a college student I'd occasionally use the pi symbol as a casual signature, because my initials were PI (I use Trish as a nickname now, but my first name is Patricia). I thought it was obvious why I used that symbol, until one day a math nerd friend told me they thought it was because I lived in dorm room #314. That was my room number, but I'd never put the two together! 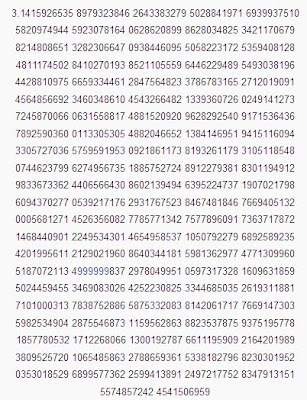 PI DAY!! 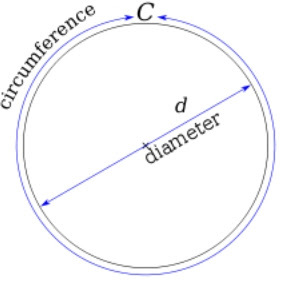 We're baking some of our own today and calculating the circumference. 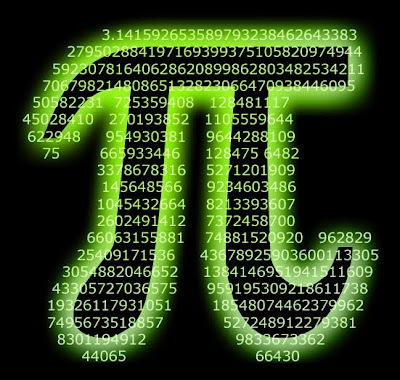 My brother reminded me that we should look forward to the ulitmate Pi Day in 2015! :)) Enjoy! Being a family of math nerds, my DH being a Naval Academy graduate and nuclear submariner, we celebrate Pi day as well! Happy Birthday, Patrice. You share a birthday with our son, who turned 41 today. LOL -- just to clarify, it's not my birthday (which falls in September) -- just Pi Day. But tell your son happy birthday. My twin 13 year old boys both memorized pi to 200 decimal places and recited it for their class today. Ha! 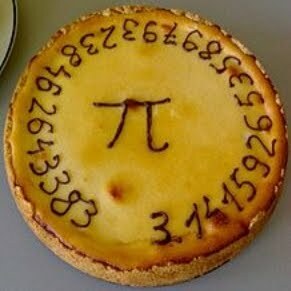 I thought we were the only ones who celebrated Pi day! It's good to know there are others out there. We built a fire and made mountain pies in our pie irons for dinner. I also read about a family who celebrates March fourth as "March Forth Day." They eat footlong subs, take a walk and make resolutions about marching forth from that day on. I thought that was a great idea as well. "Infinite" means "without bounds." PI is bounded; it is somewhere between 3.14159 and 3.1416. 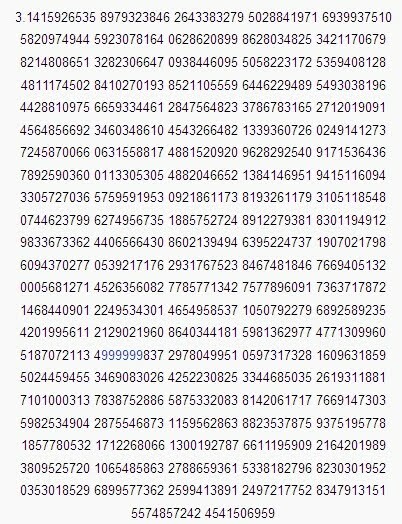 PI is a transcendental number. The more digits to the right of the decimal point, the more accurate you are with PI, but it is always bounded between 3.14159 and 3.1416. "e", the natural logarithm, is another transcendental number. PI-day is a great way to celebrate math! I also like the not so famous "pi aren't square, cakes are square, pie are round".